Despite his humble roots, Mike Repole's goals have always been lofty, and to his credit, he's achieved many of them. The kid from Queens who was the first person in his family to attend college turned a small beverage company into a giant worth $4 billion. He dreamed of owning racehorses as a teenager, and he's made that come true as well, winning top-class races like the Breeders' Cup Juvenile and the Travers Stakes. 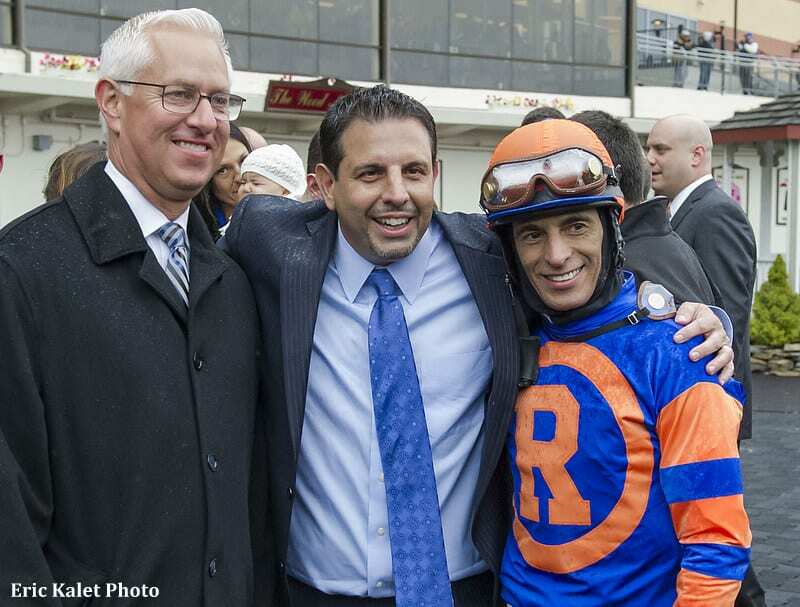 Those who work with him, like trainer Todd Pletcher, are well aware of Repole's tendency to ask questions. In this episode of Around the Track, host Scott Jagow poses the questions of Repole. What propelled his success as an entrepreneur? What are the stories behind Uncle Mo and the heartbreaking ending for one of his other favorite horses? Where is that canoe anyway? And much more. You can listen to Around the Track from the player below or you can download it to your phone and listen at your convenience. It's available on iTunes, on android phones with the easy-to-use Horse Radio Network app, and other podcast apps. This entry was posted in Around The Track Podcast, NL Article, People and tagged Around the Track, Around the Track Podcast, Caixa Eletronica, horse racing owners, horse racing podcasts, mike repole, New Vocations, Scott Jagow, stay thirsty, Thoroughbred Ownership, thoroughbred retirement, todd pletcher, Uncle Mo by Paulick Report Staff. Bookmark the permalink.